Voting for the lone Rajya Sabha seat in Kerala is underway, with Chief Minister Pinarayi Vijayan being among the early voters. Polling began at 9 am and will continue till 4 pm. M P Veerendra Kumar, the state president of the Janata Dal (U) Sharad Yadav faction, is the candidate supported by ruling CPI(M)-led LDF, while B Babu Prasad is the UDF candidate. 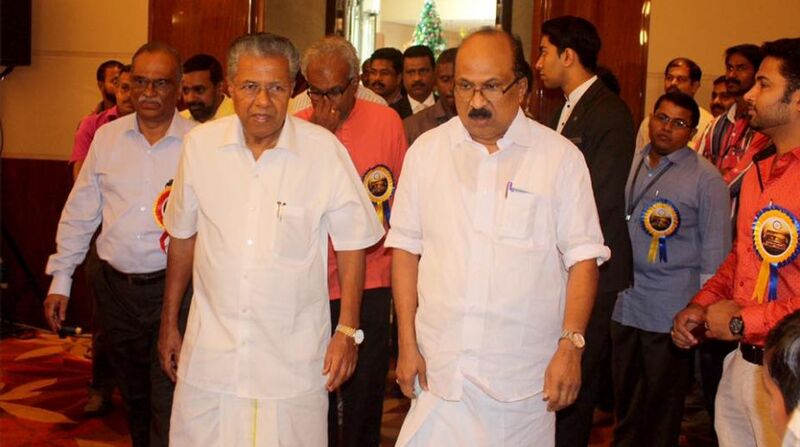 In the 140-member Assembly, the LDF has 90 MLAs while the UDF has 41 legislators. Kerala Congress (M), which has six MLAs, has said it will abstain from voting. The lone BJP MLA in the state O Rajagopal, has also decided to keep away from exercising his franchise. Leader of the Opposition in the Assembly Ramesh Chennithala, former chief minister, Oommen Chandy, and state ministers were among those who voted. The election is being held after the seat fell vacant when Veerendra Kumar resigned from the Upper House of Parliament as a mark of protest following JD(U) leader and Bihar Chief Minister Nitish Kumar joining hands with BJP-led NDA.